What feelings do airports create? Frustration, anger, stress, nervousness, confusion, and discomfort are common answers. Most airports don’t see the customer experience as their first priority, but focus on operations, costs, regulations, or revenue. 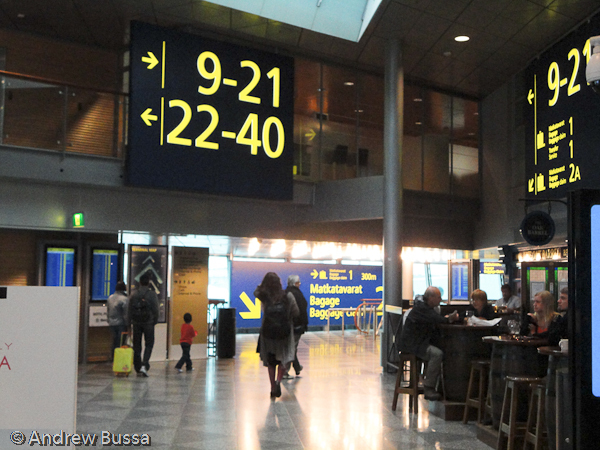 Even though a lack of interest in the customer experience is common in airports today, it should be the next big area for innovation in airports and Helsinki Airport is on the leading edge. Helsinki Airport is in a difficult position, faced with strong competition and limited resources; they can’t outspend the Middle East governments, can’t expand their existing footprint very much, and don’t serve a giant city. 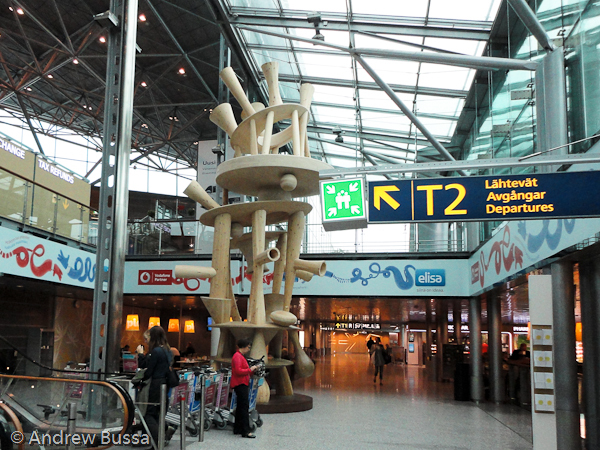 Helsinki, like most airports, cannot compete for passengers based simply on grandeur and opulence; instead it competes based on the total customer experience. Customer experience management (CEM) is an area where every airport, no matter the size, can compete for customers. 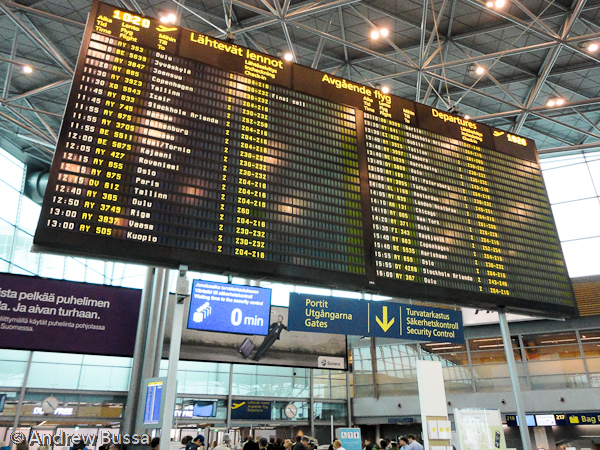 Finavia, the government owned firm that operates 21 civil airports in Finland including Helsinki, has the goal to own the entire customer experience. 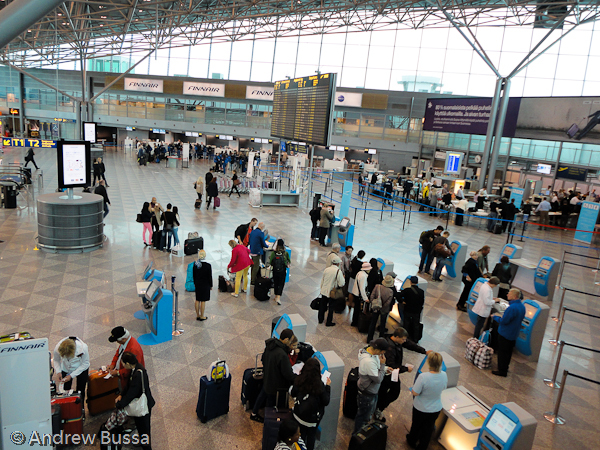 This goal goes beyond just the 600 employees they have at Helsinki, but encompasses the customer’s entire travel experience, from booking, transit to the airport, ground experience, and inflight experience. Their CEM goal is to create “Smooth Traveling.” This supports the larger business goal to be Europe’s number one transfer airport. Helsinki’s customer experience initiatives attempt to cover the complete “customer path.” There are multiple customer types, and depending on the trip, the same individual can be a different customer type. For example, 6,500 “first timers” (haven’t flown in more than a year) visit each day; some first timers ever go to the airport on the day before to practice. Their needs differ greatly from frequent travels, families, pensioners, etc., but each group needs to have their needs addressed to create a positive experience. Mindsets are further influenced by why the trip is being taken. What influences customer experience varies greatly, so CEM isn’t a simple proposition. 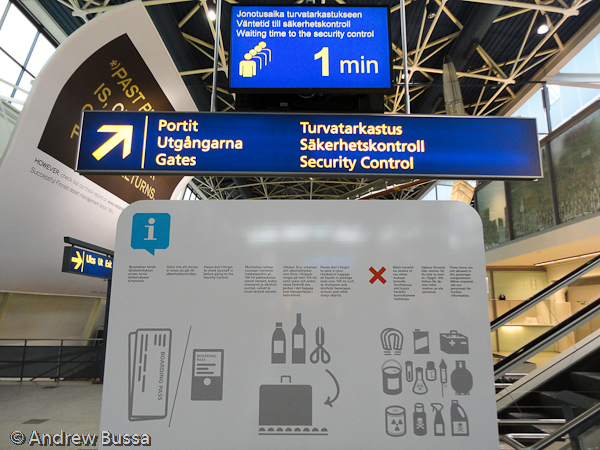 Helsinki Airport has three basic focus areas for CEM, premises, processes, and people. 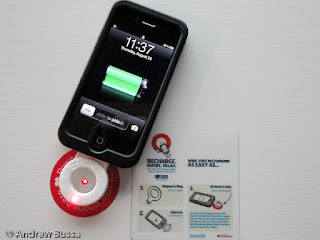 If these three items are done well, everything should run smoothly. Processes are complex and difficult to observe when passing through. 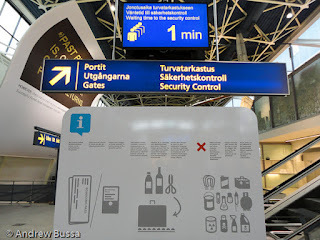 Finavia has worked to redesign processes, self check in and bag tagging for example, to improve the customer experience and make things run smoother for passengers. The second focus area is the premises and the goal is to create a comfortable atmosphere. The first thing I noticed is the terminal is very quiet, just soft conversation. There are no recurring announcements (absent are Homeland Security threat level style reminders), no one screaming in their phones, no carts beeping, and no hum from the HVAC system, luggage belts, or other sources. The signage is large, clear, well placed, and helpful. It is a simple idea, but not well executed in most airports. Work centers are available and promoted with signage. Ample seating is provided in many forms. There are many different restaurants, shops, and large windows to look out on the field. Power outlets and phone charging (including wireless PowerKiss charging) opportunities abound. There is even a space with chairs designed by famous Finns to showcase Finnish design. 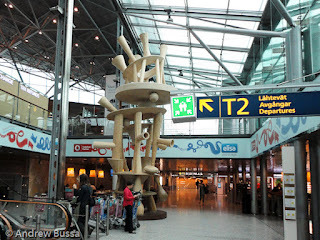 The airport has an open and Finnish feel to the layout and decor; creating a calm and comfortable atmosphere. The terminals are well lit and a comfortable temperature. The WiFi is fast and free; it isn’t even advertising supported. Free luggage carts are available curbside and by baggage claim, they look to be clean and in good shape. The terminal building has many open spaces, long sight lines, and comfortable colors and materials. There is a pervasive Scandinavian design idea in all areas. 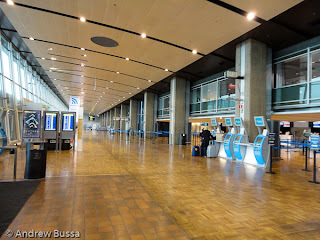 T1 and T2 have a modern feel to them, while the original terminal building has hard wood floors and timeless jet set 1960's style atmosphere (even with a banner promoting the wifi and self check-in kiosks). Employees at the airport treats passengers as guests. The staff, regardless of who they work for, is sharply dressed and friendly. There seems to be a positive and hospitable culture at the airport. It also self-reinforces with coworkers complementing others when they go that extra step to help passengers (I saw this at the security screening and was dumbfounded). My favorite example of these three focus areas coming together is the security process. 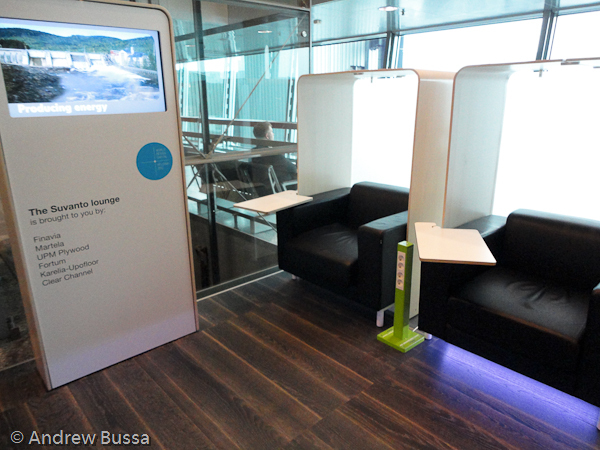 The T1 checkpoint was engaged in a pilot program to test new customer experience design improvements. They want the security process to reflect Finnish design by including light wood paneling, more sound absorbing materials, clear explanations, and a softer feel. They are also working to eliminate the “metal taste” from the experience by silencing the belt rollers and other metal on metal contact points in the process. 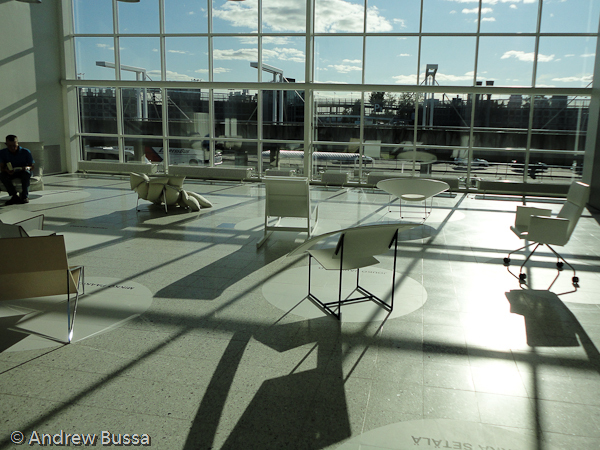 T2 uses an older design, yet still miles ahead of the standard US experience. There are plenty of bins, free baggies at the entrance of the line, right next to recycling bins, and a sign explaining the process and what is not allowed. The line moves orderly, the staff is helpful, sharply dressed, and pleasant. The different touch points, bins, rollers, floor, benches, are clean too. It’s relaxed experience from start to finish. 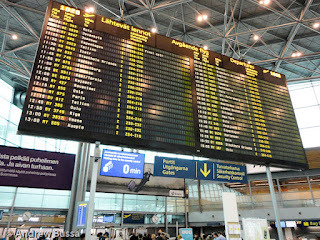 Helsinki Airport tracks and measures the customer experience (measure what you want to improve). They use a combination of feedback mechanisms (much more than just a postcard like at BOS) including customer surveys, web forms, Twitter, Facebook, and customer interviews. Time through the security line is tracked too (implied is there is an unacceptably long time, the TSA would disagree). Staff also attends seminars with airlines and other airports to share ideas. International airport surveys are also used to independently compare different aspects against their peers. 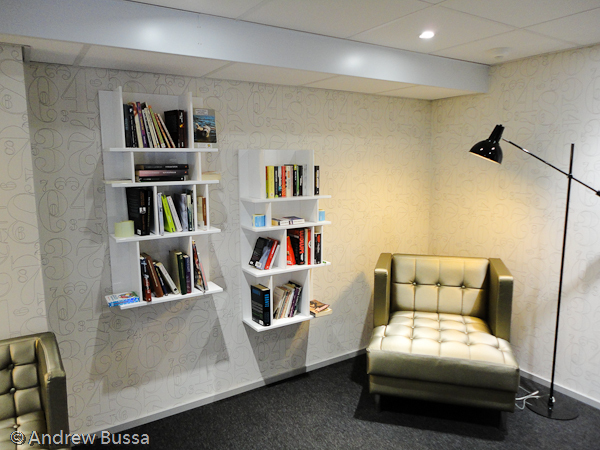 The Quality Hunters 2 program, run in conjunction with Finnair, provided customer suggestions, 25 of which are being implemented, like the Book Swap room. All these sources of information are used to create a comprehensive view into customer thoughts and feelings. 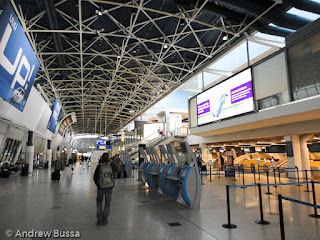 Customer experience management is an area that all airports could improve. It will also help airports of any size compete for customers and improve loyalty. Passengers will appreciate the changes tthat transform flying into a fun experience, not a chore. I'd like to thank Johanna Metsälä, Finavia's CEM lead, for discussing the intricacies of CEM at Helsinki Airport with me.